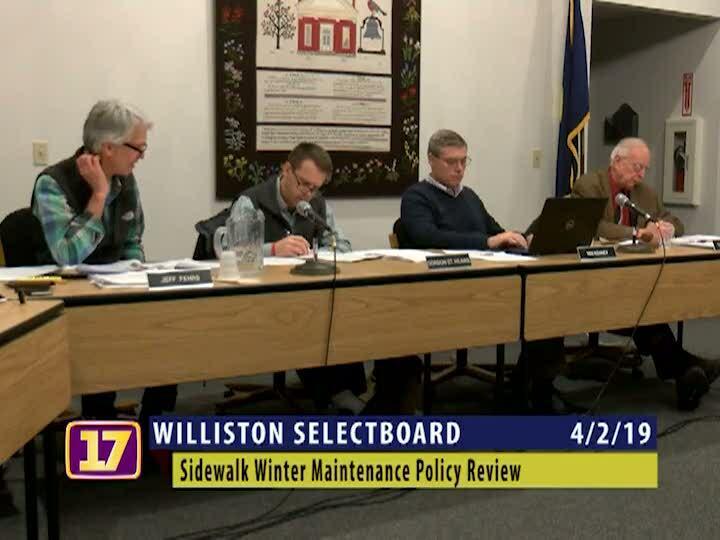 The Williston Selectboard is a five member elected board. There are three positions elected for a three year term and two positions elected for a two year term on a staggered basis. The board is responsible for setting the general policy direction, passing ordinances, setting the tax rate, reviewing the budget, supervising the Town Manager, and a host of other related tasks.